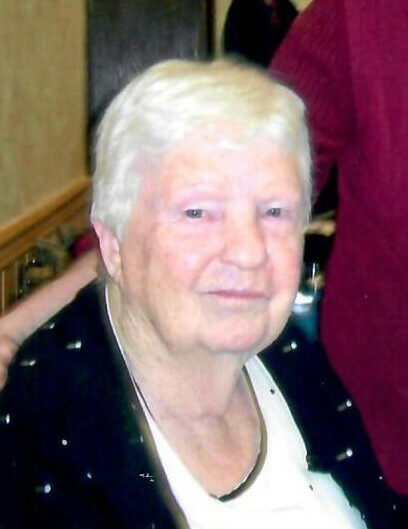 Ruth L. Lauf, 88, of Wenona, passed away Friday November 23, 2018, peacefully at home in her sleep. Private mass will be Saturday at St. Mary’s Church in Wenona. Burial will be at St. Mary’s Cemetery. The Hurst Funeral Home in Wenona is assisting the family with arrangements. Mrs. Lauf was born November 10, 1930 to Henry Joseph and Kathryn (Patton) Schmillen on their farm in Rutland. She married Joseph “Bud” Lauf in Rutland at Sacred Heart Church on November 10, 1951. He preceded her in death in 2015. Mrs. Lauf held many jobs in her lifetime including Cora’s Restaurant, Owens, FS AG, telephone company, Archway, elevator, post office, Westclox, and instilled in her children good work ethics with having paper routes and mowing yards. She enjoyed reading, going to the River Boat, playing cards, watching the Cubs, and family meals. Mrs. Lauf is survived by her daughter Rose M. Nicholson of Wenona; three sons John (Marianne) Lauf, William “Bill” Lauf, and James “Tiger” (Leanne) Lauf all of Wenona; her grandchildren Joe (Kyra) Lauf, Leslie (Curt) Petersen, Audie Lauf, and Chance Lauf; great grandchildren Lucia, Lane, Isabella, and Savannah; her sister Marian Norwood; sister-in-law Shirley Lauf Johnson; and several nieces and nephews. She was preceded in death by her parents, husband Bud, seven brothers and sisters, and her son-in-law Bill Nicholson. In lieu of flowers, memorials may be directed to Wenona Bond Library, 208 S. Chestnut St., Wenona, IL 61377.